Uncontrolled diabetes, which generally refers to glucose levels that are higher rather than lower than the target range, can lead to immediate short-term and longerterm consequences. If severe enough or untreated for long enough, markedly high blood glucose levels can result in coma and ultimately death, due to the severe abnormalities of blood chemistry that occur. 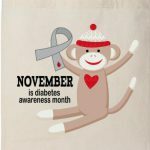 It is important to note that only a very small minority of diabetics with either form of diabetes will die in this way. The longer-term consequences of less than adequate diabetes control are the result of damage to the small (micro) and larger (macro) vessels of the circulation. The most common manifestations are diabetic eye disease (retinopathy), which is the leading cause of blindness in adults ; diabetic kidney disease (nephropathy), which is the leading cause of severe kidney failure necessitating dialysis or transplantation in adults and nerve damage (neuropathy), which is present in about 1 out of 3 people with diabetes at the time of diagnosis and in over 6 out of 10 by the time diabetes has been present for 10 years. Both retinopathy and nephropathy can be entirely without symptoms until they reach an advanced and irreversible stage, leading to blindness and the need for kidney dialysis or transplant. Diabetic neuropathy can cause very troublesome symptoms and lead to loss of sensation, mainly in the feet, which places the patient at high risk of trauma, infection, and amputations of the legs and feet. Fortunately, studies have shown that good control of diabetes can prevent or delay the progression of many of these serious problems, but other contributing factors, such as blood pressure and cholesterol, must also be given careful attention.